Make your refridgerator legendary! Four magnets; two houses. 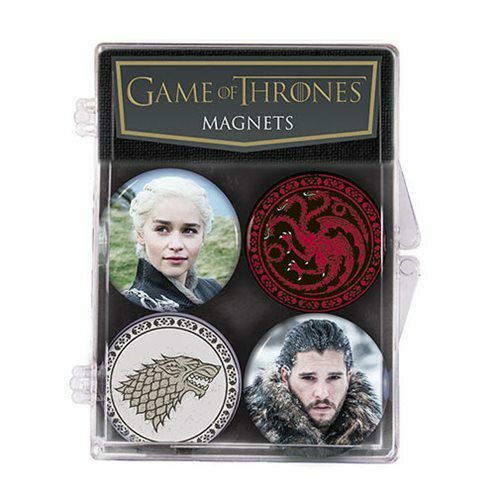 Stark and Targaryen sigils and images of Daenerys Targaryen and Jon Snow pair up in this set of Game of Thrones Magnet 4-Pack: Sigils Series 2. Packaged in a handy clear plastic hinged case, but you'll want to display them on every magnetic surface. Each magnet is 1 1/4-inches across.